Tiny Treasures opens THIS Saturday, December 12th !! Join us for some art, wine and holiday cheer! 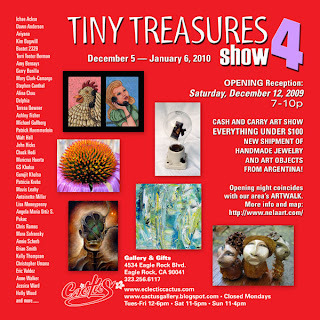 We invite you to a HOLIDAY RECEPTION this Saturday, December 12th from 7pm-10pm for our fourth annual, "Tiny Treasures" exhibition which features small scale original work priced from $10 to $150. 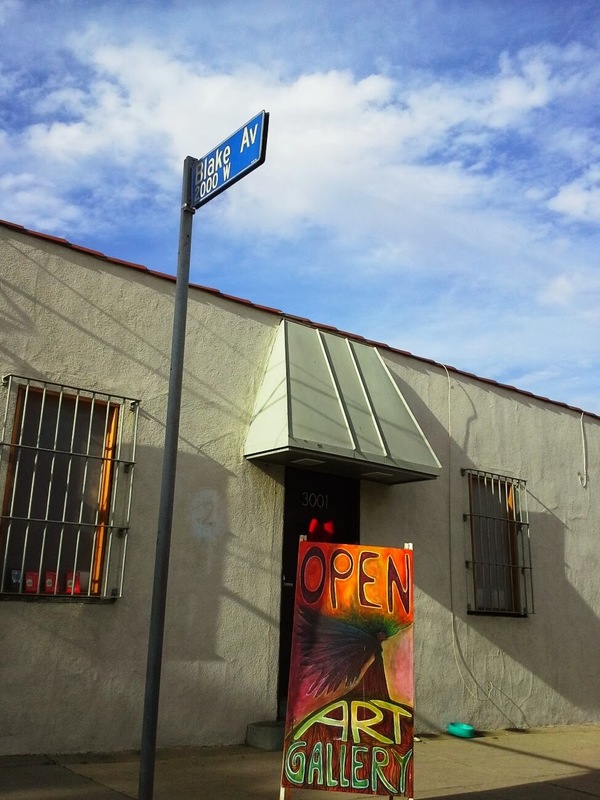 "Tiny Treasures" is a "cash-and-carry" art exhibition, meaning patrons will be able to leave with their art purchase. Give the gift of ART this holiday season. The joy of owning great art and handmade art objects and jewelry go beyond anything mass produced. and small businesses. New shipment of artesanias (handmade art objects) from Argentina. We are pleased to start the 5th year of NELAart Second Saturday Gallery Nights. Always eclectic, always fun. Check it out!